If your HDD decided to not functioning anymore, there are couple solutions. However this method will be use only board problems but platters, heads or motor We were using same technique without cahnging firmware informations for old type HDD without any problem. But new generation HDD are different. Nowadays informations are keeping both NVRAM and platters. 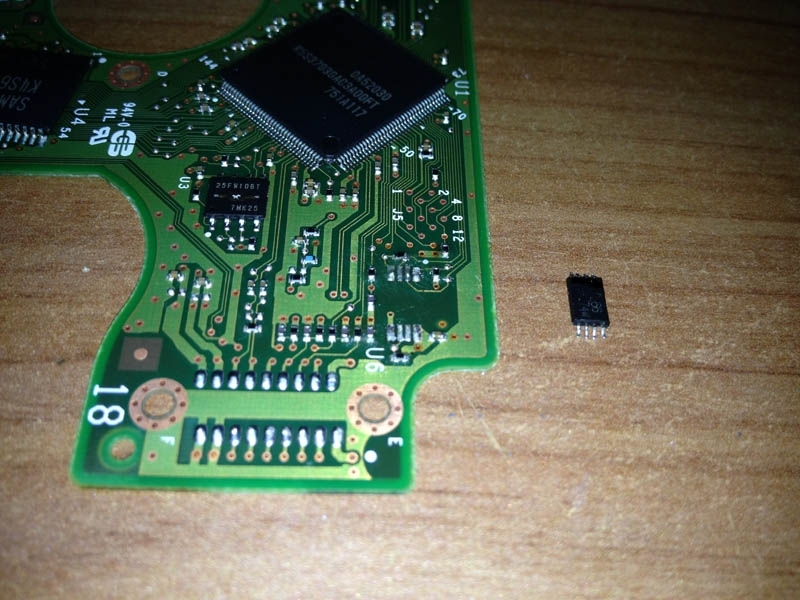 Therefore if you gonna change just PCB from new HDD to broken one, HDD may not work as expected. In this case my HDD was not functioning. System couldn't detect HDD and also I couldn't hear motor spinning sound when the power apply to the HDD. I swap PCB boards, I can now hear spinning sound but nothings change on system side. At this point the only solution is transfer firmware information from broken PCB to working (new) one. There are two different ways to this operation; one; with special tools and software. System can read broken PCB's firmware information, you may save this info to your computer and transfer to new PCB's NVRAM. This solution need HW and software investment. 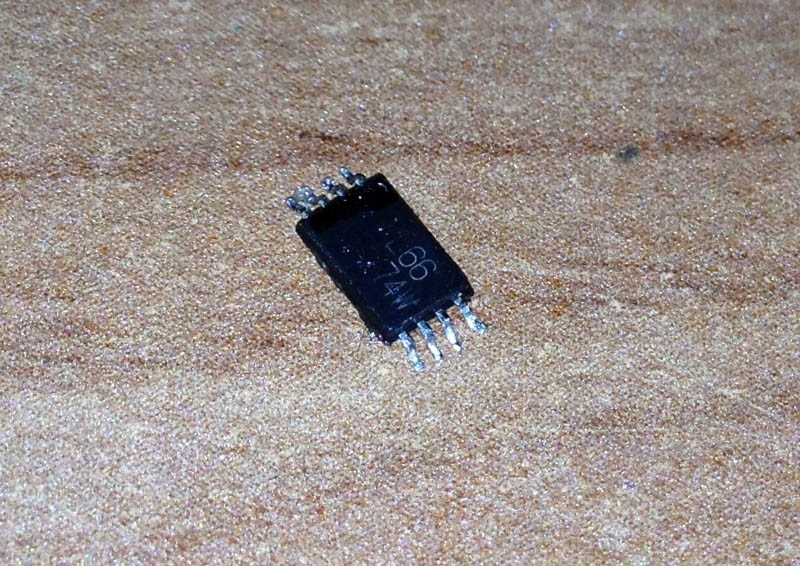 second; and cheapest way desoldering NVRAM IC from broken PCP and transfer to the new one. 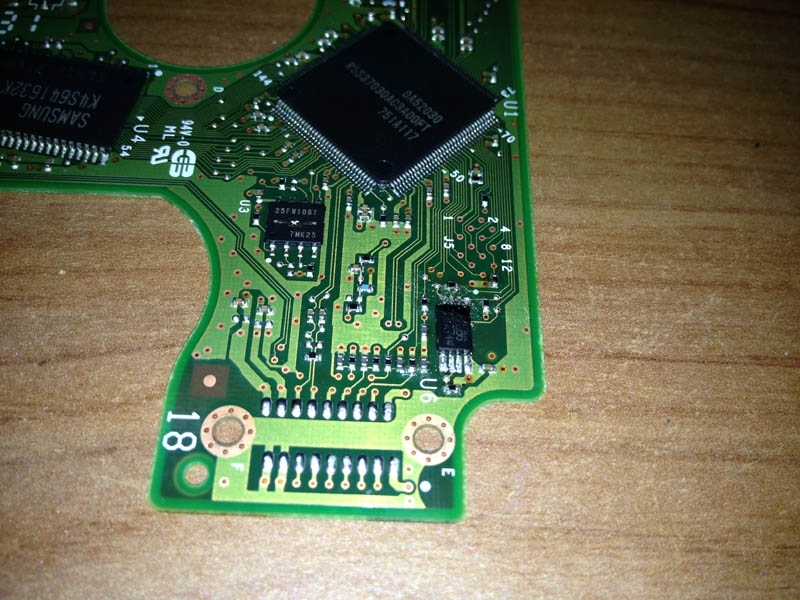 For this operation you can use either standard soldering iron or professional hot air gun (for circuits) Firstly we have to desoldering both NVRAM chips from both PCB. You have to mark directions and old/new on IC's for avoid confusion. You may use permanent pen of take a photo before start desoldering. Now it's time to transfer chip to the new PCB. Just be careful for soldering with standard iron. Check legs for short-circuits. Put it back to HDD case and screw them. Now if everything's are OK you may hear motor is spinning up and heads are moving also you have to see HDD on your system bios. On below article you may find why doesn't just the PCB swap work. 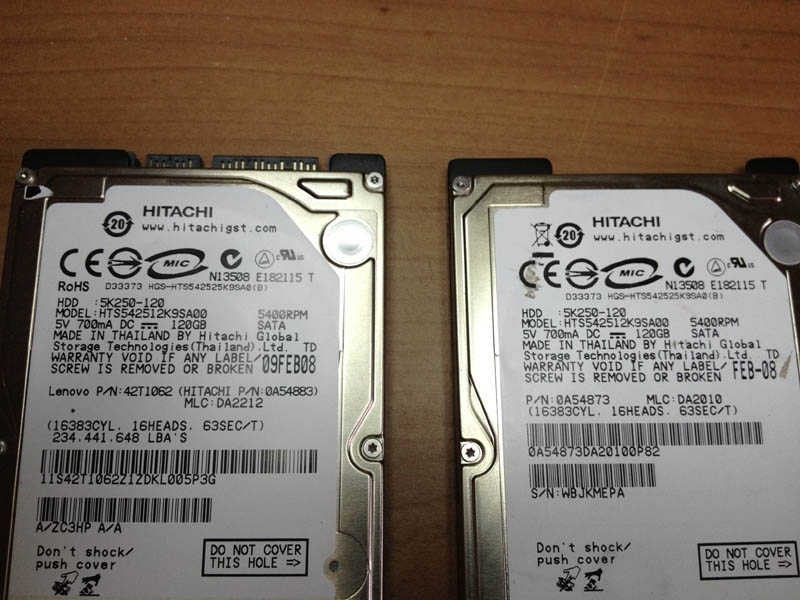 To illustrate why, let’s look at the example of a Hitachi HTS545050 hard drive. A hard drive requires some start-up and configuration information in order to get itself up and running and then to present itself as a storage area to your computer, this information is called firmware. This firmware can be thought of as boot program, it includes factory-set parameters specific to the individual drive such as drive-unique calibration values calculated and stored on the drive during testing in the factory. 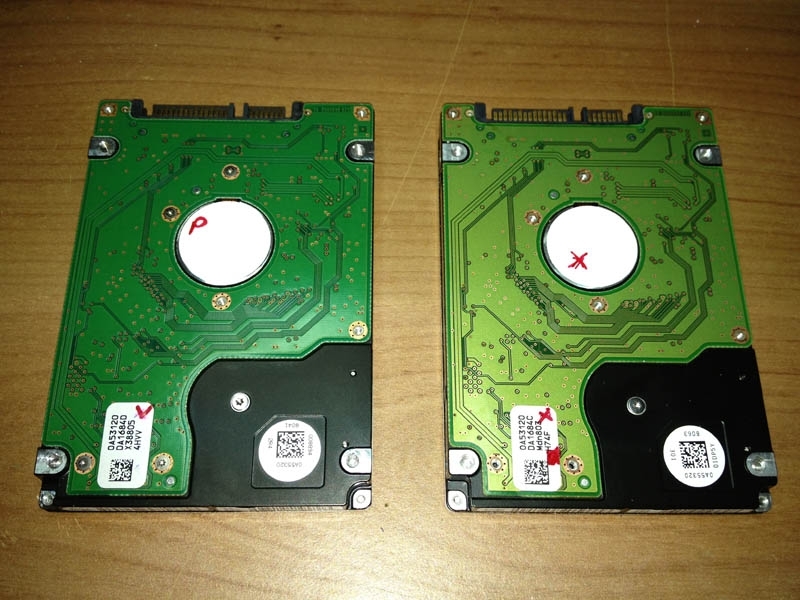 It also contains information which is built-up over the lifespan of the drive such as the re-allocation map of failed sectors (all hard drives have a limited pool of spare sectors for use when a sector fails, but a record is needed to map the replacement sectors to those that failed, again this is unique to each individual drive). A hard drive’s firmware is both unique to the individual hard drive and essential for data access. 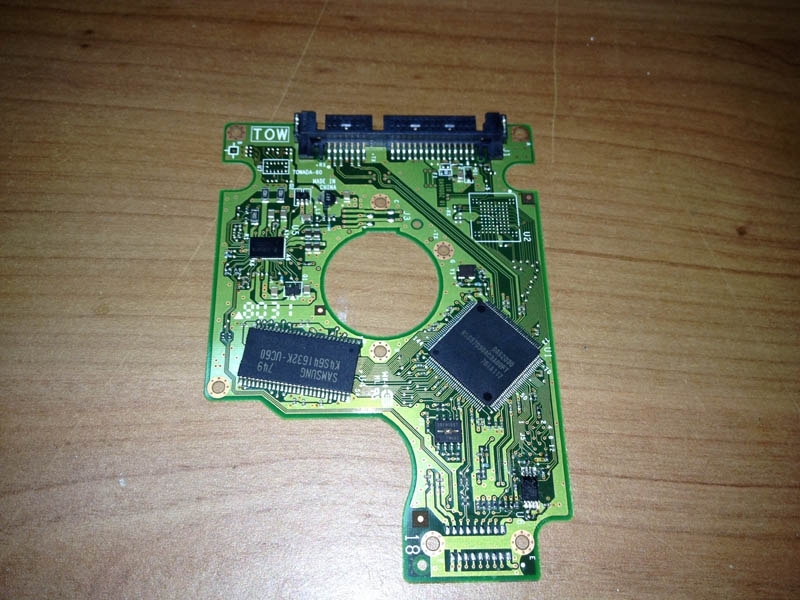 This firmware is stored partly on the platters inside the drive (on areas of the drive which are not accessible without specialist knowledge and tools) and, critically, on the printed circuit board. Sometimes the PCB portion of the firmware is stored within the main processor chip and sometimes in a separate memory chip. 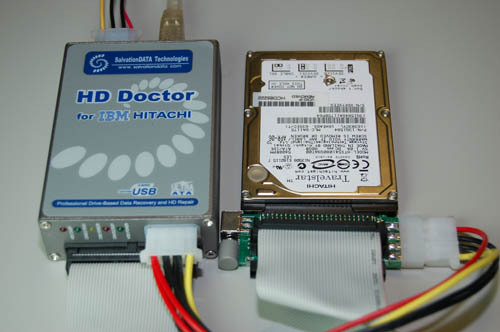 In the case of this Hitachi drive, it is stored in the so-called NVRAM (non-volatile random access memory) chip. This is essentially just a fancy name for a chip that can be programmed and that holds its contents even when power is removed. 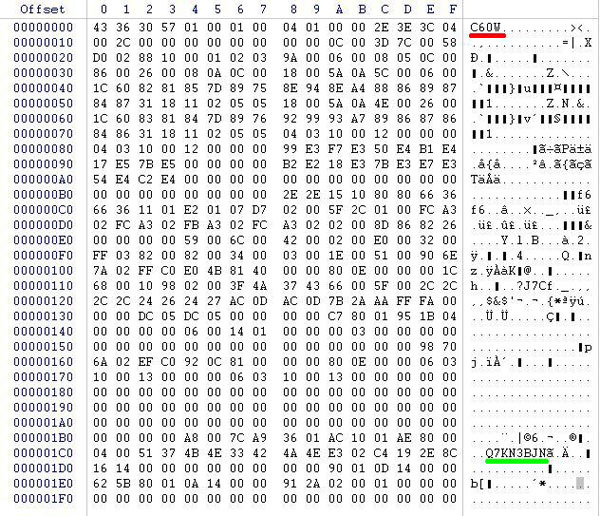 To give some idea of the information held in this NVRAM chip let’s look at the raw contents: The data underlined in red shows the firmware version installed on this drive. The data in green shows the serial number. The remainder defines (among other things): Where the start of the remainder of the firmware is located on the platters (inside the drive), this varies from drive to drive even for drives of identical model and firmware version, but if this doesn’t match the actual start of the firmware stored on the platters then the drive will never initialise. There are ways around this of course. 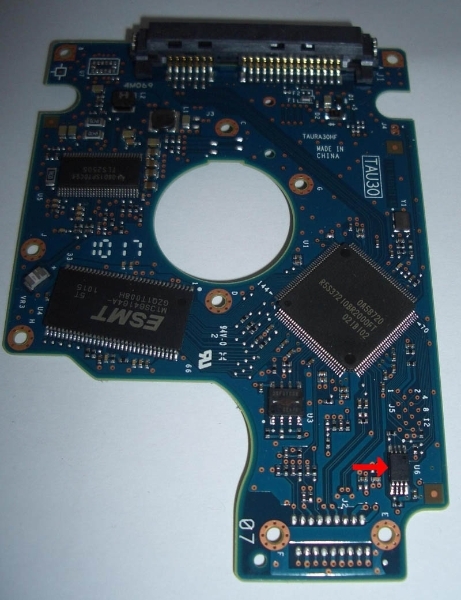 The donor PCB can be used to regain access to the original defect hard drive but only after the PCB portion of the firmware has been transferred from the defective to the donor PCB. 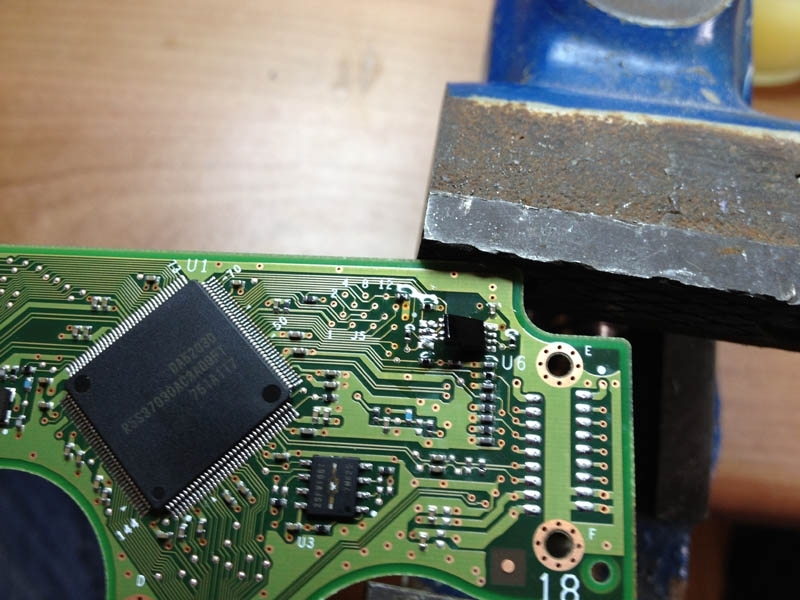 This will involve either the use of specialist equipment or some expert soldering to re-locate the chip that holds the firmware. Hocam diskin kartinda bir bolumde yanik olusmus. Simdi orjinal karti bulmaya calisiyorum. Sormak istedigim, bu chip degisimi sirasinda sicak hava ilemi sokulmesi lazim yoksa mikro havya ilemi. Birde bu chip zarar gorurse diskteki verilerin kurtulma sansi sifirlaniyormu? Güzel anlatım olmuş gerçekten teşekkürler. Benimde WD5000bpvt model 500 gb hdd var ve biostan bu hddye sifre konulmuş içindeki bilgiler önemsiz. İnternette araştırdım hdd kartının içindeki çipte saklıymış şifresi. Bu çipi sıfırlayabilir miyiz? Ya da bildiğiniz başka bir yöntem var mı? merhabalar bende şuanda hitachi 7k750 hdd var bir sabah kalktığımda çalışmıyordu elektrik almıyordu ses 0 olarak, notebook içerisinde. sata ile pc e bağladım bir çok yöntem denedim. aynı model disk buldum kartını değiştirdim elektrik geldi ancak sürekli yeniden başladı. bu çip dğeiştirme işlemi elle yapılan kolay birşeymi yoksa tekrardan lehim montaj filanmı yapmamız gerekiyor ekipmana ihtiyaç varmı ? Makalede çipin nasıl değişeceğine ait yazı ve görseller mevcut. Bunları incelemenizi tavsiye ederim. Kart üzerinde fiziksel müdahale gereklidir. 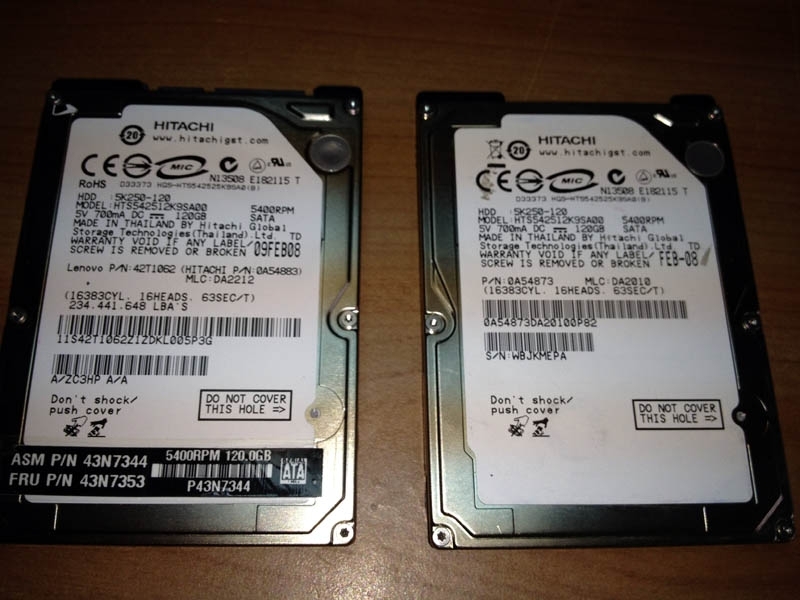 valla verdiğin bilgi için çok teşekkürler gerçekten dediğini uyguladım 2 tane aynı hdd birinin kartı yandı diğerkini taktım bilgisayar tanımıyordu dediğin çipi değiştirdim sorunsuz eskisi gibi çalışmaya devam etti. Ancak bu kadar kısa ve net anlatılabilirdi. Tebrikler. Elinize sağlık çok bilgilenirici ve işe yarar bir paylaşım olmuş. Çok güzel bir anlatim olmuş.Bilgilendirmelerinizin ve araştirmalarinizin devamini diliyorum.Saygilarimla.